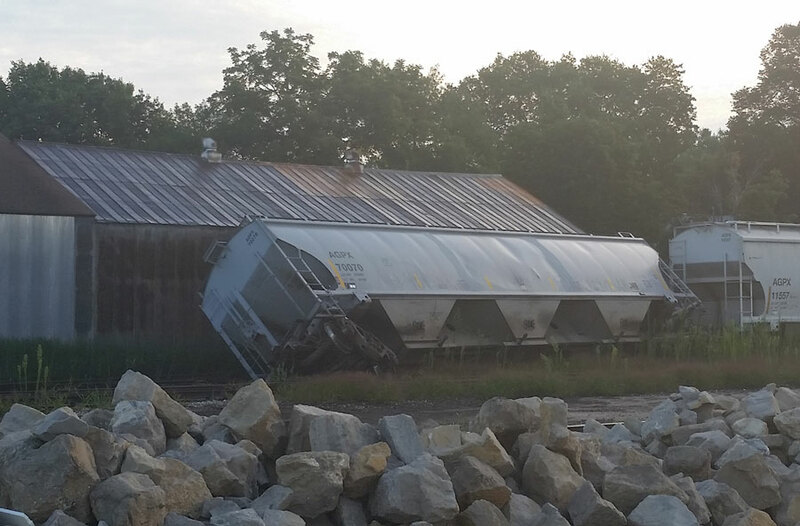 This train car fell into the Derailed bar. A train car derailed early this morning in Charles City and caused extensive damage to an appropriately-named trackside tavern. 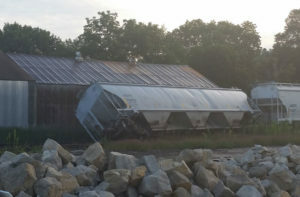 Charles City Police say several train cars were being moved around on side tracks next to DeRailed Bar at about four this morning when one of the grain cars went off the track and tipped into the building. The investigation is continuing however initial reports indicate that the rails had come apart. 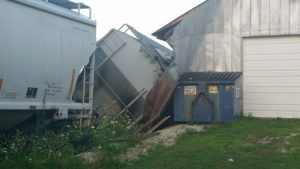 The tavern owner estimates the derailment caused close to $10,000 although he is still assessing the damages. No injuries were reported and the bar has since reopened. Work is now underway to upright the train car.